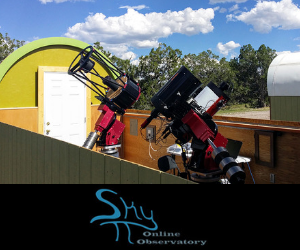 After the success of achieving first light with the Astronomical Telescope for Educational Outreach (ATEO) on August 31, 2017, another clear night at Pie Town, New Mexico allowed us to continue testing the online remote robotic telescope on the morning of September 1st. It was now time to start testing the filter wheel and a bright deep-sky object would be a fitting way to make sure the filter wheel was functioning properly. 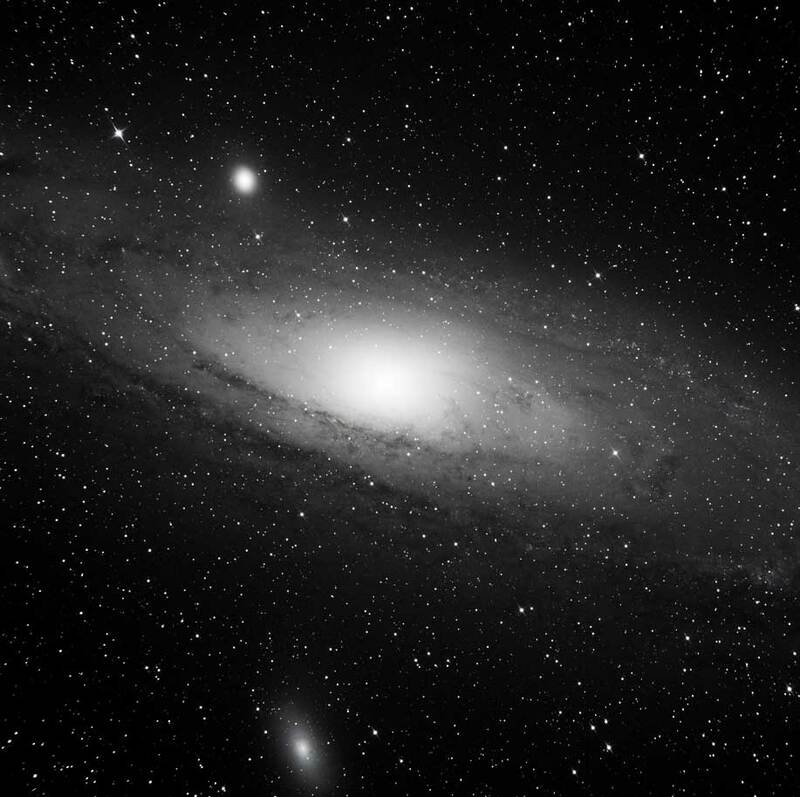 As we were using the TheSky software on our imaging computer, we saw that The Andromeda Galaxy, also known as M31 and NGC 224 was in a decent spot of the sky to get a series of quick images using the filter wheel. Fortunately, all went well with using the filter wheel with the CCD camera. 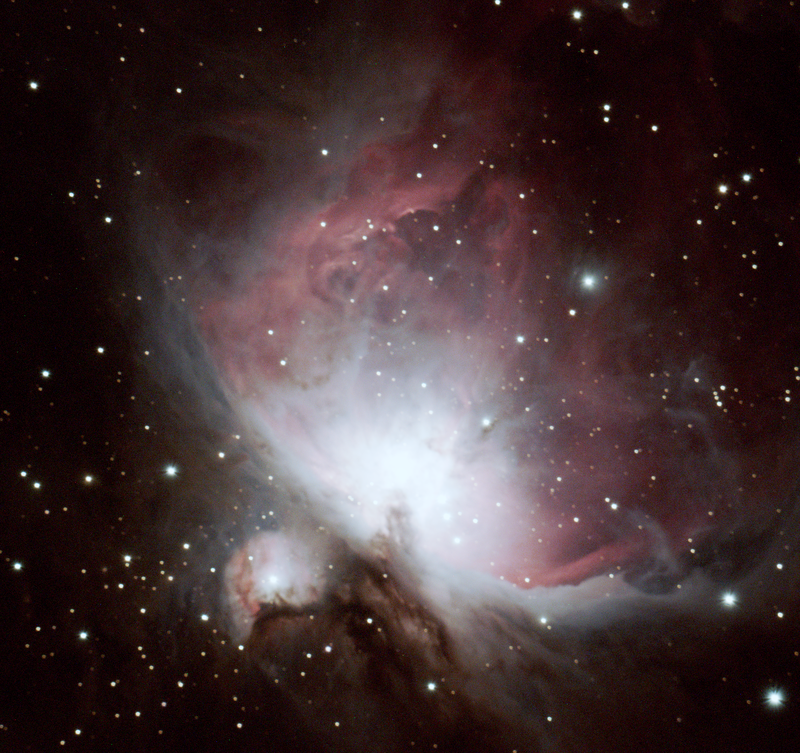 We imaged the galaxy with quick 60-second exposures through the LRGB filters. No flats or darks applied as we still need to create those. However, We did some slight processing using Photoshop. Needless to say, we were very pleased. NGC 224 (Messier 31) - The Andromeda Galaxy 60-second LRGB Images on the ATEO-1. The Andromeda Galaxy is the nearest large galaxy to our own, at a distance of about 2.5 million light-years. This object is classified as an Sb spiral and it is a major member of the Local Group. It lies in the constellation Andromeda and is the most remote object normally visible to the naked eye, though, under really dark skies, observers can sometimes see the M33, the Triangulum Galaxy. Once the telescope is ready for educational and public use, we are confident the Andromeda Galaxy will be a favorite target for imaging. We look forward to seeing everyone's results!